I hear that King Buzzo has three dogs. I bet he walks them really slow. 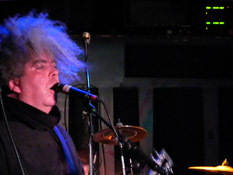 So, The Melvins have been around for… ever. First album in 1986, but I didn’t get turned onto them until Melvins’ guitarist King Buzzo joined Mike Patton’s avant-noise metal supergroup Fantômas on the 1999 debut (along with Mr Bungle’s Trevor Dunn & Slayer’s Dave Lombardo). 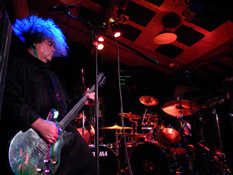 I saw The Melvins in 2003 play with Skeleton Key & Mike Patton’s Tomahawk in Columbus, Ohio (Tomahawk’s Mit Gas tour). 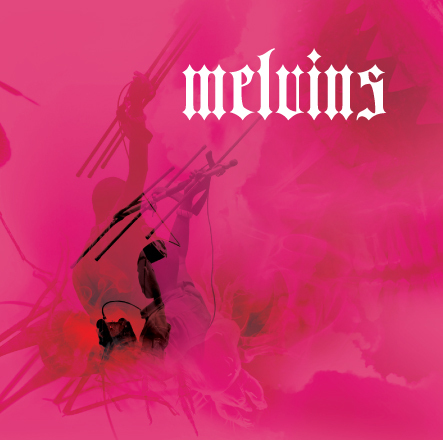 I found a new respect for a mainstay on Patton’s Ipecac Recordings… The Melvins are a major force in heavy music. Some history… they’re from Seattle and were considered an early founder of grunge (Kurt Cobain listed them as a major influence). The Melvins have since moved into what could be best called “sludge metal“… which spurred Earth, and subsequently Sunn O))), in the drone & doom metal sub-genres. 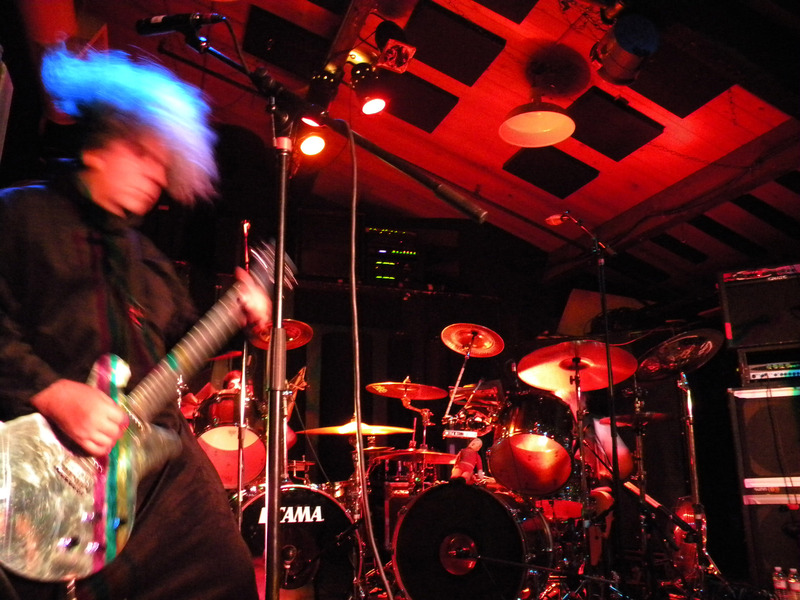 All that to say, The Melvins have been around for a long time and have been an artistic force in music. I haven’t had a solid chance of seeing them in 6 years. They swung through Eugene last year, but I was out of town. Last time, they played a bigger venue (WOW Hall), but this time, they played two full sets (with no opener)… so I’ll take it. 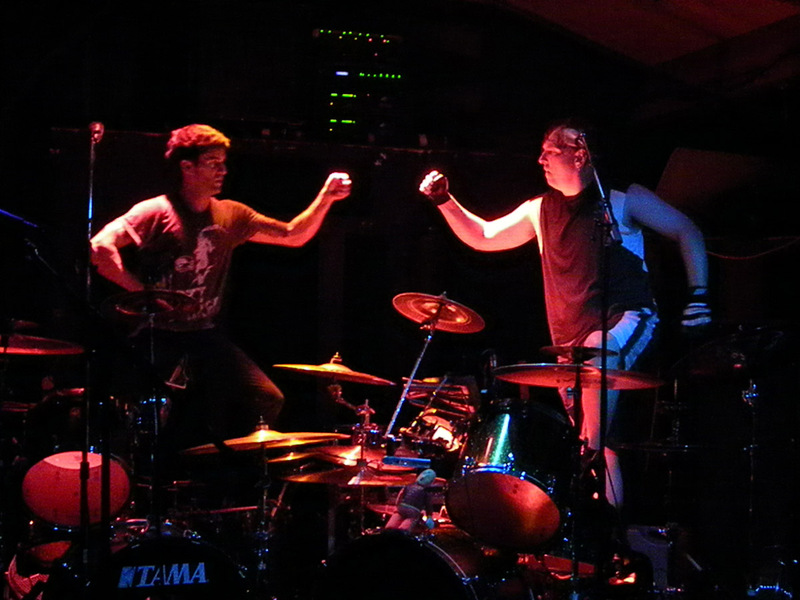 :) This was only their 2nd date of their 2009 U.S. Summer tour (see dates at the bottom), but they were pretty tight regardless. 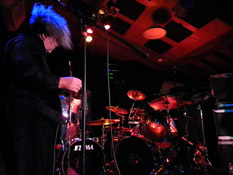 They took the stage right at 7:30 and played six songs as a duo, just Buzz Osborne on guitars and Dale Crover on drums. They were then joined by Jarred Warren on bass and Coady Willis on a 2nd set of drums. 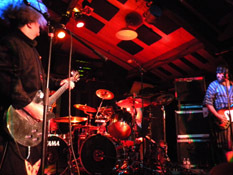 Their first set started with more of the grunge/punk but had plenty of the sludge to go around. It was a powerful 40-45 minute set. They came back on 20 minutes later and belted out another 50 minute set without stopping. “Hooch” was the highlight for me, but it was an amazing show all around. No banter, barely stopping to tune… just a full force, heavy wave of music. Overall… bloody brilliant. I thoroughly enjoyed every bit of it, and I don’t know half of their songs… :) I’m definitely seeing them anytime they come through town. A great band with 2 great sets! !